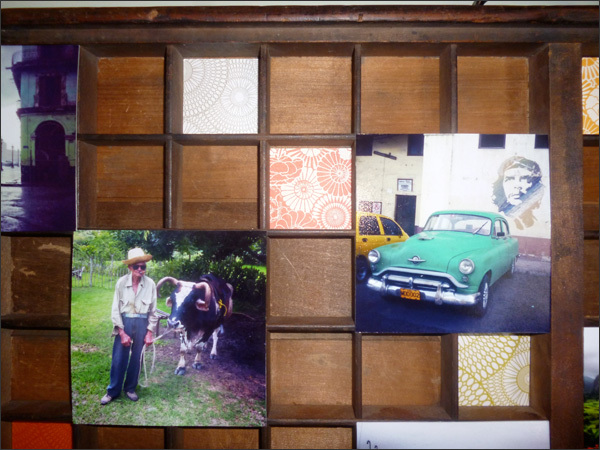 This morning I finished turning my vintage printers drawer into a memory box for my living room. 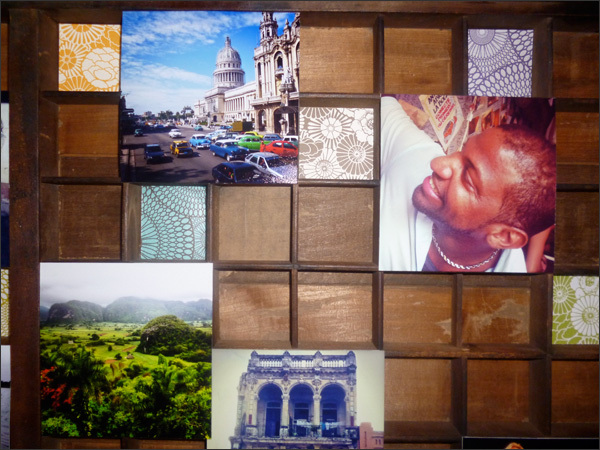 I wanted the memory box to hold key moments from my recent trip to Cuba. 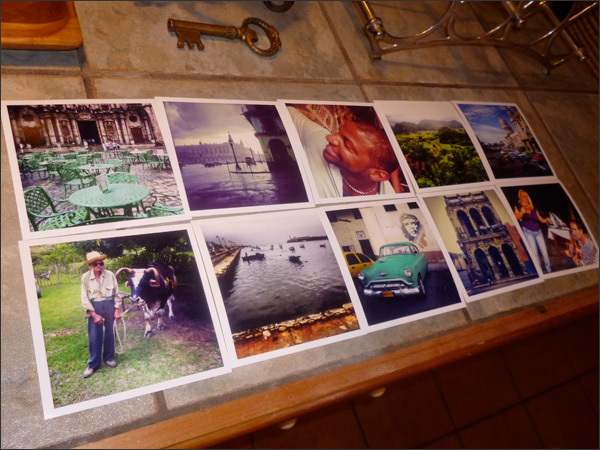 I printed 10 of my Instagram pics and mounted them onto the printers drawer. Lovin' it! 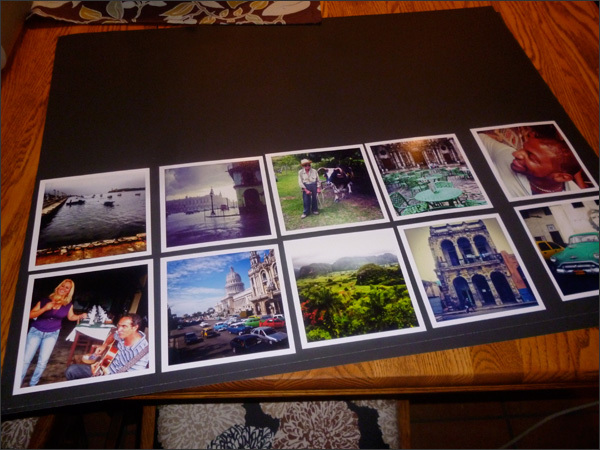 I ordered 5" by 5" prints that I could then trim to the correct size which was approximately 4.5" x 4.5". 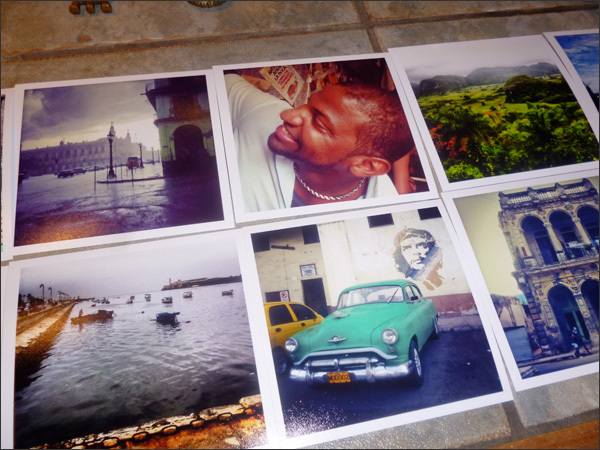 Here's the top 10 pics I choose - people, places and moments that were Cuba for me. I think I choose well as far as key memories go and a perfect range of colours. I used a glue stick to adhere the photos to a heavy piece of black paper. I thought this would make the photos less flimsy when mounting them onto the printers drawer. I trimmed the photos then placed them on the printers drawer. I used double-sided mounting tape to adhere the prints to the printers drawer. I kept this update simple just in case I wanted to use the printers drawer differently in the future. I also added squares of funky paper from the paper sample set from Zing Paperie & Design to some of the squares. I like the balance between the photos and the paper. 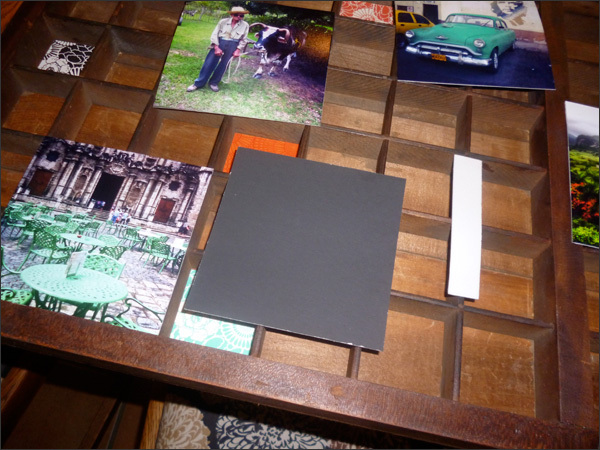 I also like how the photos are mounted on top and the paper is inserted in the boxes. Next I'll work on projects for next weekend's workshop. 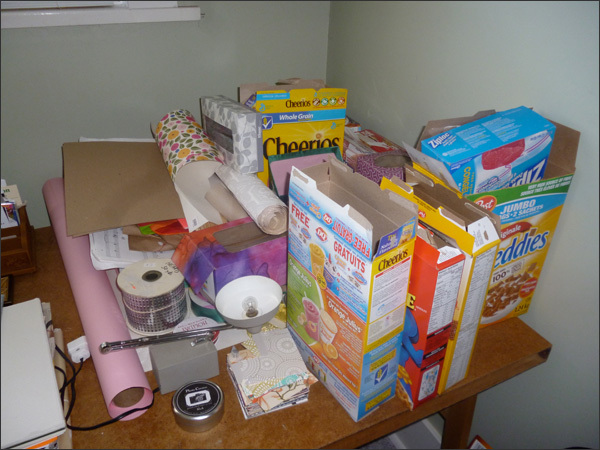 Yup I have tons of boxes! I also am waiting on a donation of 100s of empty CD cases. I'll save those for the Culture Days workshop on September 29th. 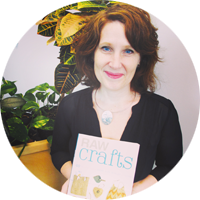 And finally we've decided on projects for the August 25th workshop - we're making jewelry! Gonna be fun! 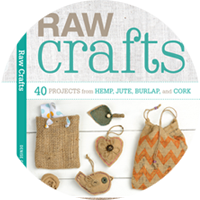 Materials will include wine corks, wood, scrap paper and more. Hope everyone is enjoying their July! I'm planning to work on a few furniture updates soon. Lovin' being crafty these days! Oh, I would LOVE to find a piece like that! I love the photo box idea! 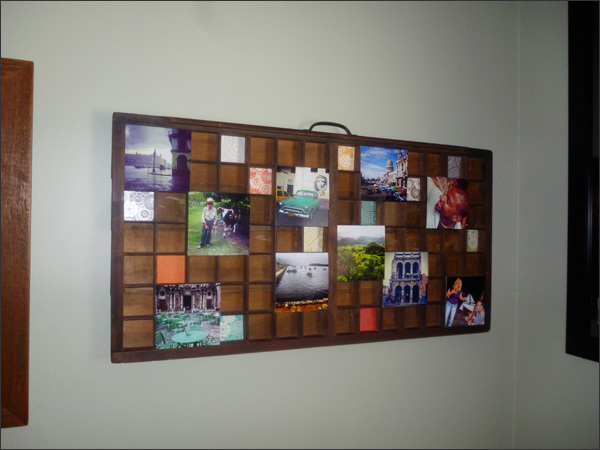 I found this on Pinterest and wanted to let you know that I think this is a brilliant idea for a thrift store upcycle! From a fellow Canadian next door in Alberta. I now have another item to keep an eye out for in thrift stores!